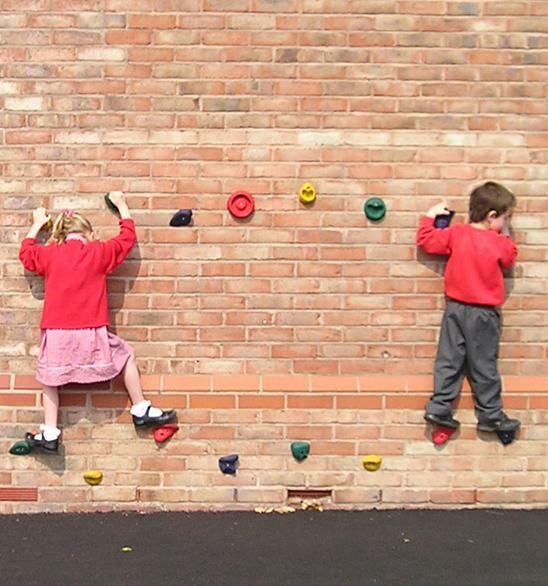 If you wish to make the plain wall in your playground into a new adventure look no further than the traverse wall grips. They allow children to make their way across the wall using the hand and foot grips to develop balance and co-ordination in a safe manner. The lower run of grips are set no higher than 600mm high to allow them to be installed onto a playground with no safety surfacing required. The top run of grips are set at a height to suit Infant or Junior school children.